Cook chana with salt adding enough water until soft. Heat oil in a pan, splutter mustard seeds and cumin seeds. Add chopped onions and saute till transparent. Add ginger and garlic paste and saute for 1 minute. Add chopped tomatoes, green chillies, curry leaves, coriander leaves and salt and saute well till tomatoes becomes soft and cooked. Now add chilli powder, coriander powder, turmeric powder and garam masala and mix well to make a thick paste. Add cooked chana along with little water ( use water used for cooking chana) and stir well. Just need few pooris to enjoy with this yummy masala..
Poori with chana............mouthwatering now. 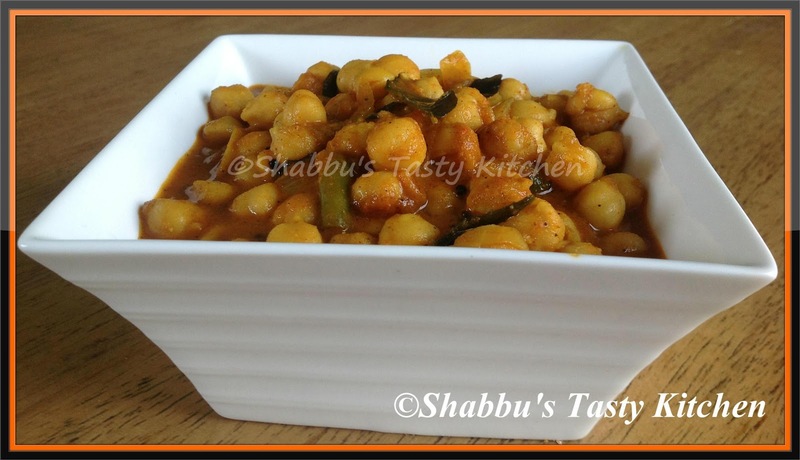 Delicious looks of chana masala. Delicious and flavorful channa masala..
Chana masala looks delicious love it. I LOVE channa masala and this looks perfect! Delicious masala! !love it with pooris..